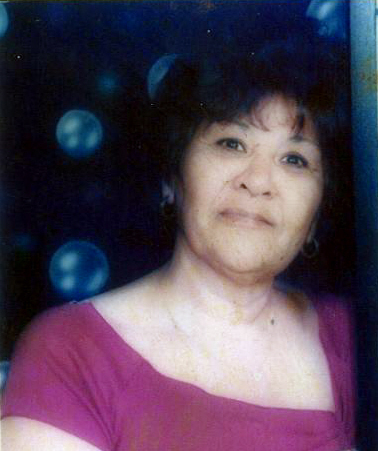 Rosa Campos, 70, passed away Friday , March 22, 2019 in Lubbock. Funeral Mass for Mrs. Campos will be 10:00 am Wednesday, March 27, 2019 at Our Lady of Grace Catholic Church with Father Jim McCartney officiating. All arrangements were made under the direction of Calvillo Funeral Home. A rosary will be held 7:00 pm Tuesday, March 26, 2019 at Calvillo Funeral Home Chapel with a visitation starting at 10:00 am. Rosa was born February 15, 1949 in La Feria, Texas to Francisco & Aurelia Campos. She married Guadalupe Gonzales Jr. in Lubbock, he preceded her on May 25,1972. She was a home maker who loved to sew, crocheting, dressing up, cooking, dancing, music, shopping especially at the Goodwill store and spending time with her family. She is survived by three sons; Ernesto (Margarite) Gonzales of Leander, Edward Gonzales and Eric Nava both of Lubbock; three daughters, Elena Gonzales, Elisa Nombrano, Elvira (Robert) Mendez all from Lubbock; one brother, Robert Padilla of Lubbock; two sisters, Mary Washington of Odessa, Rebecca Castilleja of Lubbock; fourteen grandchildren, twenty great- grandchildren. She is preceded in death by her parents, her husband, Guadalupe Gonzales Jr. (May 25, 1972).